September 8, 2014 – (, Dahlgren, VA 22448, US) – Local Supervisor (1869-205) Click here for full details. September 8, 2014 – (, Dahlgren, VA 22448, US) – Clerical Assistant/Receptionist – *Secret Clearance Required* – FT Temp (1867-205) Click here for full details. September 8, 2014 – (, Dahlgren, VA 22448, US) – Clerical Assistant/Receptionist -*Secret Clearance Required*- PT Temporary (1866-205) Click here for full details. September 6, 2014 – (, Washington, DC , ) – Click here for full details. September 6, 2014 – (, New York, NY , US) – Small to Medium Business Commercial Sales Specialist Click here for full details. September 6, 2014 – (, Ft. Collins, CO , US) – Storage Software Development Manager Click here for full details. September 6, 2014 – (, Dayton, Ohio , US) – Mid-level Logistician Click here for full details. September 6, 2014 – (, San Jose, California 95112, USA) – Outside Sales Representative Click here for full details. September 5, 2014 – (North Carolina Central University, Durham, NC 27707, US) – Maintenance Mechanic (Facility Maintenance Technician – Mechanical Trades) – 101034 Click here for full details. September 5, 2014 – (North Carolina Central University, Durham, NC 27707, US) – HVAC – (Facilities Maintenance Technician – Mechanical Trades) – 100981 Click here for full details. September 5, 2014 – (North Carolina Central University, Durham, NC 27707, US) – Facility Maintenance Technician – Mechanical Trades – 100859 Click here for full details. September 5, 2014 – (North Carolina Central University, Durham, NC 27707, US) – Maintenance Mechanic (Facility Maintenance Technician – Mechanical Trades) – 100853 Click here for full details. September 5, 2014 – (North Carolina Central University, Durham, NC 27707, US) – EEO/HR Specialist (Human Resources Specialist) – 100778 Click here for full details. September 5, 2014 – (North Carolina Central University, Durham, NC 27707, US) – Student Services Specialist – 102026 Click here for full details. September 5, 2014 – (North Carolina Central University, Durham, NC 27707, US) – Accounting Technician – 101963 Click here for full details. September 5, 2014 – (, Washington DC, , United States) – Project Manager Click here for full details. September 5, 2014 – (, Westminster, Colorado , United States) – Software Developer Click here for full details. September 5, 2014 – (, Colorado Springs, Colorado , United States) – Software Engineer Click here for full details. September 5, 2014 – (Polaris, Spirit Lake, Iowa 51360, USA) – Electrician Click here for full details. September 5, 2014 – (Polaris, Spirit Lake, Iowa 51360, USA) – Quality Tech Click here for full details. September 5, 2014 – (Polaris, Spirit Lake, Iowa 51360, USA) – Maintenance Tech Click here for full details. September 5, 2014 – (Polaris, Spirit Lake, Iowa 51360, USA) – Robot Programmer- Liquid Paint Click here for full details. September 6, 2014 – (Northern VIrginia, Vienna, Virginia 22182, USA) – 10 FULL-TIME PERMANENT SENIOR JAVA DEVELOPERS Click here for full details. September 5, 2014 – (Dahlgren, VA 22448 US, Dahlgren, VA 22448, US) – Computer Analyst – Unix (1848-205) Click here for full details. September 5, 2014 – (Dahlgren, VA 22448 US , Dahlgren, VA 22448, US) – Metrology Technician II (1865-205) Click here for full details. September 5, 2014 – (Dahlgren, VA 22448 US, Dahlgren, VA 22448 , US) – Metrology Technician III (1864-205) Click here for full details. September 5, 2014 – (Dahlgren, VA 22448 US , Dahlgren, VA 22448 , US ) – Sr Engineer (EMS) – NSWCDD Range Operations (1863-205) Click here for full details. September 5, 2014 – (, Dayton, Ohio , US) – Financial/Cost Estimator Click here for full details. September 4, 2014 – (Dahlgren, VA, Dahlgren, VA 22448, USA) – Senior Unix System Administrator – Senior Computer Analyst – Integrated Warfare Systems Lab (IWSL) Click here for full details. September 4, 2014 – (Dahlgren, VA, Dahlgren, VA 22448, USA) – Unix System Administrator (SSA) Computer Analyst Click here for full details. September 4, 2014 – (, Irvine, California 92618, USA) – Liscensed Veteran and Wounded Warrior Landscaping Crew Click here for full details. September 4, 2014 – (Appleton, Appleton, Wisconsin , ) – Account Manager Click here for full details. September 4, 2014 – (, Houston, Texas 77023, United States) – Sanitation Helper 2014-1726 Click here for full details. September 4, 2014 – (, Baton Rouge, Louisiana 70805, United States) – Operations Manager 2014-1725 Click here for full details. September 4, 2014 – (, Baton Rouge, Louisiana 70805, United States) – Sales Representative 2013-1317 Click here for full details. September 4, 2014 – (Pentagon, Arlington, Virginia 20003, United States) – Logistics Subject Matter Expert Click here for full details. September 4, 2014 – (, Cleveland, Cincinnati or Dulbin, OH , USA) – Financial Advisor, Registered Rep. with MetLife Click here for full details. September 4, 2014 – (This position may be considered for off-site remote work after completion of initial orientation, Quantico, Virginia 22134, USA) – Copy Editor – Part Time Click here for full details. September 4, 2014 – (, Sunnyvale, CA , US) – Product Manager – HP Software Operations Analytics Click here for full details. September 4, 2014 – (, Fremont, CA , US) – Electrical Hardware Engineer Click here for full details. September 3, 2014 – (, Stafford, VA 22554, United States) – Information Technology Support Specialist Click here for full details. September 3, 2014 – () – Lead Alarm Technician – Dulles, VA and Fort Worth, TX Click here for full details. September 3, 2014 – () – Emergency Communications Center Site Lead – Dulles, VA and Fort Worth, TX Click here for full details. September 3, 2014 – () – Lead Emergency Dispatcher – Dulles, VA and Fort Worth, TX Click here for full details. September 3, 2014 – () – Emergency Dispatcher – Dulles, VA and Fort Worth, TX Click here for full details. September 3, 2014 – (MCB, Quantico, VA 22134, United States) – Information Assurance (IA) Analyst Click here for full details. September 3, 2014 – (, Carlsbad, California 92011, United States) – Accounting Manager Click here for full details. September 3, 2014 – (, Washington, DC , ) – Training Coordinator Click here for full details. September 4, 2014 – (, Benson, MN 56215, USA) – Registered Nurse (Mfg-MN) Click here for full details. September 4, 2014 – (8670 W State Rd 56 , French Lick, IN 47432, USA) – Seeking Surveillance Agents for French Lick Resort, French Lick Click here for full details. September 3, 2014 – (, Camp Lejeune , NC , ) – Liaison Officer II MEF Click here for full details. September 3, 2014 – (, Camp Lejuene , NC , ) – Logistics/Fielding Specialist II MEF Click here for full details. September 3, 2014 – (, Virginia Beach, Virginia 23462, United States) – LANDSCAPE TECH ($10/hr.  starting, Overtime, Doubletime & Benefits) – Va. Beach Click here for full details. September 3, 2014 – (, Virginia Beach, VA 23462, United States) – SHRUB SPRAY TECH (Overtime, Doubletime & Benefits) – Va. Beach Click here for full details. September 3, 2014 – (, Dahlgren, VA 22448 , ) – Engineer – NSWCDD Range Operations (1861-205) Click here for full details. September 3, 2014 – (, Dahlgren, VA 22448, ) – Clerical Assistant/Receptionist – *Secret Clearance Required* – PT Temporary (1854-205) Click here for full details. September 3, 2014 – (, Fremont, CA , US) – Staff Hardware Engineer Click here for full details. September 3, 2014 – (, Sunnyvale, CA , US) – Senior Visual Designer Click here for full details. September 3, 2014 – (, Sunnyvale, CA , US) – HP Cloud – Business Planning Manager Click here for full details. September 2, 2014 – (, Tukwila, Washington 98168, USA) – Sales Support Representative Click here for full details. September 2, 2014 – (, Bellevue, Washington 98004, United States) – Senior Client Manager Click here for full details. September 2, 2014 – (, Seattle, Washington 98101, United States) – Administrative Assistant Click here for full details. September 2, 2014 – (, Tukwila, Washington 98168, United States) – Office Coordinator Click here for full details. September 2, 2014 – (US-MD-PAX River, Lexington Park, Maryland 20653, USA) – Navy H-60 Pilot for FMS NATOPS Click here for full details. September 2, 2014 – (US-MD-PAX River, Lexington Park, Maryland 20653, USA) – Navy H-60 Pilot for LCS Integration Click here for full details. September 2, 2014 – (North Carolina Central University, Durham, NC 27707, USA) – Housekeeping (Building Environmental Services Technician) – 201736 Click here for full details. September 2, 2014 – (North Carolina Central University, Durham, NC 27707, US) – Research Technician – 301850 Click here for full details. September 2, 2014 – (Warner Robins, GA, Warner Robins, GA 31098, USA) – Project Supervisor (Warehouse) – Warner Robins, GA (2782) Click here for full details. September 2, 2014 – (Edgewood, MD, Edgewood, MD 21005, USA) – Relations Manager IV – APG, MD (2778) Click here for full details. September 2, 2014 – (Warner Robins, GA, Warner Robins, GA 31098, USA) – Warehouse Specialist Lead – Warner Robins, GA (2779) Click here for full details. September 2, 2014 – (Warner Robins, GA, Warner Robins, GA 31098, USA) – Warehouse Specialist – Warner Robins, GA (2781) Click here for full details. September 2, 2014 – (Crane, IN, Crane, IN 47522, USA) – Warehouse Specialist with Secret Clearance – Crane, IN (2783) Click here for full details. September 2, 2014 – (Warner Robins, GA, Warner Robins, GA 31098, USA) – Truck Driver (Heavy) – Warner Robins, GA (2780) Click here for full details. September 2, 2014 – (National Capital Region, Washington , DC 20001, USA) – Junior Finance and Accounting Professionals Click here for full details. September 2, 2014 – () – Program Manager’s, Quality Assurance Analysts, Program Specialists – Able Forces Click here for full details. September 2, 2014 – (Twin Cities Area, Hopkins, MN 55343, USA) – Water and Fire Remediation Professional Click here for full details. September 2, 2014 – (, Scottsdale, AZ 85251, United States) – Software Analyst or Game Tester Click here for full details. September 2, 2014 – (Multiple, Cincinnati, Ohio 45230, USA) – Elevator Operator – (Grain elevator ) Seasonal Click here for full details. September 2, 2014 – (National Capital Region, Washington, DC 20001, USA) – FINANCE AND ACCOUNTING PROFESSIONAL Click here for full details. September 2, 2014 – (Crane, IN, Crane, IN 47522, USA) – Warehouse Specialist – Crane, IN (2746) Click here for full details. September 2, 2014 – (, Albuquerque, NM , US) – High Performance Computing Software Integrator Click here for full details. August 31, 2014 – (Department of State – Roslyn, VA Office, Arlington, Virginia , ) – Data Analyst (Cyber) Click here for full details. August 31, 2014 – (Tysons Corner, Vienna, VA , ) – Mid-Level Facility Security Officer Click here for full details. August 31, 2014 – (Tysons Corner, Vienna, VA , ) – Junior Foreign Disclosure and Release Specialist Click here for full details. August 31, 2014 – (Tysons Corner, VA, Vienna, VA , ) – Junior Executive Assistant (multiple positions) Click here for full details. August 30, 2014 – (Lexington-Fayette, Kentucky, Lexington-Fayette, Kentucky 40576, USA) – Motor Vehicle Mechanic-LTV Click here for full details. August 29, 2014 – (The University of Texas at El Paso, El Paso, TX 79968, USA) – Associate VP For University Communications – 10019413 Click here for full details. August 29, 2014 – (The University of Texas at El Paso, El Paso, TX 79968, USA) – Program Advisor/Lecturer – 10021774 Click here for full details. August 29, 2014 – (The University of Texas at El Paso, El Paso, TX 79968, USA) – Research Technician II – 10023326 Click here for full details. August 29, 2014 – (, Fort Detrick, MD 21702, ) – Senior Strategic Planner/Integrated Master Scheduler IV (2777) Click here for full details. August 29, 2014 – (Northwestern Indiana, Valparaiso, IN , ) – Account Manager Click here for full details. August 29, 2014 – (, Hanahan, SC 29410, ) – Computer Systems Analyst III (116-817) Click here for full details. August 29, 2014 – (, Hanahan, SC 29410, ) – Technical Instructor/Cource Devloper (115-817) Click here for full details. August 29, 2014 – (, Hanahan, SC 29410, ) – Engineer/Scientist III (114-817) Click here for full details. August 29, 2014 – (, Lexington Park – NAS Patuxent River, Maryland , US) – Flight Test Engineer Click here for full details. September 2, 2014 – (, Bonita Springs, Florida 34135, USA) – Lawn Service Crew Member Click here for full details. August 29, 2014 – () – Finance/Accounting – Tulsa, OK and Lake Mary, FL Click here for full details. August 29, 2014 – (Route 29 & Cherry Hill Road, Silver Spring, MD , USA) – Help Desk Support Technician, Silver Spring, MD, USA Click here for full details. August 29, 2014 – (, Palo Alto, CA , US) – Consumer Product & Software Manager, Retail Click here for full details. August 29, 2014 – (, Plano, TX , US) – Small to Medium Business Commercial Sales Specialist Click here for full details.